The moment I stepped into her home, I knew she was struggling. The look in her eyes…defeat. The slump of her shoulders. The exhausted look on her face. Her gait, slow and shuffled. I knew I was here more for encouraging support than checking off learning goals for report cards. I asked how things were going. She gave me a deep sigh and I could see she was fighting tears. She said she felt like she was failing at teaching her kids. She was overwhelmed and not sure if she was doing ‘enough’. In all of my years as a support teacher for homeschool families, this has been one of the biggest hindrances for so many moms. I want to remind you all of some important truths here. Are you ready? 4 Important Truths For The Failing Homeschool Mom. You feel like you are failing at this homeschool thing, hey? I know…been there, done that. More than once…AND I am a certified teacher! However, over my 11 years of home educating and being a support teacher, I have come to realize some truths about this whole failing at homeschool LIE. I’m not talking about happy as in a trouble free life – that just doesn’t happen. I am meaning more in general and are they experiencing the joy of the Lord. If your children are content most of the time, that is a huge deal. We live in a culture where teen suicide has become so prevalent. Teens and children suffer from depression more nowadays than ever. According to several sources, suicide is the third leading cause of death in teens today (North America). This point was really driven home for me when I looked through the paper and got to the obituaries section. There was a photo of a handsome 15-year old boy, smiling and looking happy. As I read the obituary, I gathered that he had taken his own life and it was possibly due to being bullied. Isn’t that heartbreaking? What a horrible thing for him and for his family. The thought that he was so distraught that he felt the only way to escape was to end his life. And then I was overcome with a great sense of thankfulness and relief…my children are not suffering as this young man had. Yeah, I’m going to have bad days with homeschooling my kids. There will be times when I feel like pulling out my hair as I tell my son for the hundredth time in less than an hour to GET BACK TO WORK! We’ll get to the end of May and there will be workbooks undone, projects half-finished and learning goals unmet…every year. And then I’ll remember this truth…my children are content. ***NOTE: If your child does struggle with depression, get help immediately. Don’t wait. If your child is being bullied, don’t wait for someone else to do something about it. Get your child out of that environment, regardless of the cost. Are your kids in a loving, safe home? If your children are confident in your love for them and you have given them a safe and secure home life, consider this a huge success. I think that because we homeschool, we live in a bubble of sorts. We don’t always see the dysfunction of many families around us. I know this is true for me. It is so easy for me to forget that not all families have a safe and loving environment. Not all children have the sense of belonging to their family. Not all marriages are good and strong. Statistics show that when a child feels safe, secure and loved at home, they are able to function better. This only makes sense. Books will go unread, math programs incomplete, history essays sparse…but if our children have a protected and affectionate home…then we are miles ahead! I think we can safely say we are succeeding in homeschooling! 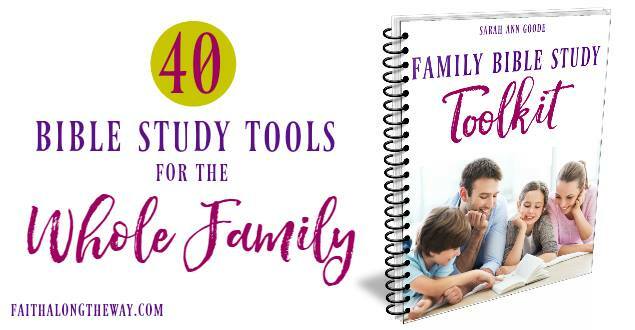 Here is a great homeschooling resource that I love! Are your kids getting along? I know, kids will fight, siblings will argue with each other. It is normal for this to occur sometimes. But if they genuinely love and care for each other, then we are building a strong foundation for a lifetime relationship. I have worked with homeschool families long enough now to see many sibling dynamics. One common thread I have noticed is the authentic and sincere love sibings have for one another. It isn’t often that I see homeschooled siblings refusing to get along in a healthy manner – and when I do see it, I believe it is for underlying dysfunction within the family as a whole. We don’t always see how well our kids get along with each other until we hear other parents complain about how their public schooled children constantly fight and generally don’t like each other. Don’t get me wrong, public schooled siblings can be close, however, that relationship requires more intentionality and purposefulness than what naturally occurs in a homeschool family. If you are looking for some ideas to help your children in this area, read my post 7 Tips that Will Cultivate Strong Sibling Ties. If our children sincerely love each other and enjoy spending time with each other, well, I think we can safely say that we are succeeding in home education! Are your kids following the Lord? I think this is the biggest indicator of success. If your children are walking with the Lord, then you are already successful as a parent and as a home educator. If, when your children enter adulthood, all they have to show for their homeschool career is that they love the Lord with all of their hearts, minds, souls and strength…well, dear sister, they will be better equipped to live a full and abundant life in the Lord than those who are not walking in truth. I’m not trying to minimize the importance of a good, strong education. I am a teacher! So, of course, I value learning – lifelong learning. However, we can spend from Kindergarten to graduation giving our kids the best education ever with excellence in every subject, but if they aren’t following Jesus, then they have nothing. Everything – Jesus = NOTHING. Jesus needs to be their foundation (and ours! ), He is the cornerstone. If we have deeply rooted our kids in the Lord, then everything else is the frosting on the cake. The mom in the above scenario is fictional…but, sadly, the scenario is not uncommon. Actually, I am reflecting on many, many home visits, desperate phone calls, and frantic emails I have received since 2004 from anxious, worried moms. It’s a culmination of them all. And the above 4 things is something I wish they all knew deeply within their hearts. It is what I desperately want you to know. The truth is this – we won’t be able to teach them everything they need to know. It just isn’t possible. But we can instill a deeply rooted love for God, for His Word and for siblings in a loving home. When we do that, we are successful. And, believe me, you are much more successful at this homeschool thing than you think you are. Be free and confident in that truth. 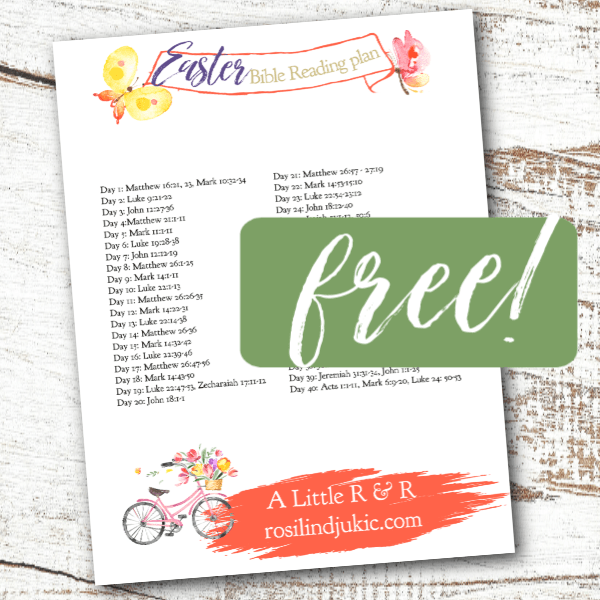 Need more encouragement in your homeschooling and parenting? I have a giveaway happening over on my site for a Parenting Bible study written by Pam Forster of Doorposts. Open until April 18th. Hey, I followed you on a linkup!! I don’t homeschool but wish I was able to, unfortunately, our living situation is with family and they are not accepting of this and financially we don’t have another choice, but that’s OUR family. The suicide thing really hit home. In the last 3 months, the only two high schools we have, have experienced 6 teens dying. One of my 13-year-old daughters best friends killed herself over the weekend. It is so heart-breaking to keep seeing that kids are missing and then their bodies are found. Would love it if you could pray for our community. Keep on talking about teen suicide because it is a growing epidemic, one of our Native Reservations has declared a state of emergency as a result of all of these lost young lives. I am praying that real guidance is able to come in and help everyone who is suffering. My children do attend a Christian school and my daughter’s phone was blowing up with “I am sorry for your loss” messages today and this evening. She looked at me doe-eyed and said, “how do I even respond to these?” I told her “you simply say ‘thank you'” when you are ready and if you aren’t ready they understand that too. Oh Marisa, this broke my heart. I am literally sitting here with tears in my eyes. It is so hard for kids to grapple with that kind of loss, especially when they know their friend felt so hopeless that it was easier for them to take their own life than to go on. I am praying today for your daughter and your community. May the hope of the gospel reach these young kids’ hearts and change the lives of those who bully them to the point that they feel their life no longer has meaning. Thank you for sharing your story. I think we all need to hear it. Thank you! My daughter went to school yesterday but they were at church most of the day, today she went and texted me about half hour later and said she needed to come home, so we picked her up and she is a bit closed off but also knows we are here for her when she is ready. She asked me last night how the boys are all acting normal and I explained that sometimes boys/men put on a brave face for the girls but grieve more privately. It’s definitely difficult but we will make it through, praise the Lord! Marisa, thank you for sharing here about what is happening in your community. It is such a tragedy. Depression in kids can occur no matter how they are being educated – public school, private school or homeschool. In fact, my oldest was on the verge of becoming depressed. It took moving to another town to help her out with that – get some good, Godly friends and a fresh start. I will be praying for your community. It is just so heart-breaking. Thank you so much for this! I am in midst of my first year of home-schooling right now. I started the year with grand plans of learning activities and all sorts of productivity. By this time we are lucky if we get even part of what we need to do done each day. But I know my kids are learning what they need to. It is hard at times to not compare my kids to the kids sitting in a formal classroom each day but I know at the end of the day I am doing what is best for our family and that is all that matters! I wasn’t blessed to be able to homeschool but something I have ALWAYS found encouraging is knowing that everything my children learned BEFORE they were 4 was because of MY ability to teach them! Your children learned to spell their names, learned shapes, colors, numbers, letters, counting and so much other stuff all before they are even supposed to be doing any form of schooling! I also remind myself that one of the first universities to accept homeschooled students was HARVARD! So clearly, it works! Don’t be so hard on yourself. You’ve got this!! Elizabeth, I have taught in the classroom before. Believe me, your kids are learning a lot more than you think they are! In Canada, if a classroom teacher is able to teach 80% of what she has to, it is considered a successful year. I also figure that my kids have the rest of their lives to learn about any topic they wish. As long as math and LA are progressing, academically speaking, then they are good. May God bless you on your home school journey! BTW – not much is getting done around here in the way of book work. Spring is in full swing and cabin fever is high! This was so helpful. Even after 20 years of homeschooling, I only seem to see my faults and what I have not done. My three younger kids pass all these tests. My oldest is in rebellion against God. It’s painful to see. I have faith that God will not let the seeds of faith in Jesus I planted through the years die. Thank you, Laura. I replied to your comment on my site. I appreciate what you’ve shared here! God’s word will not return to Him void – hang on to that promise for your child – all of your kids, actually!